In 1949 an Italian called Attilio Santini opened a gelato store in Estoril, an idyllic beach resort near Lisbon. There was a tradition of gelato making in his family; his great grandfather had a gelato store in Vienna. 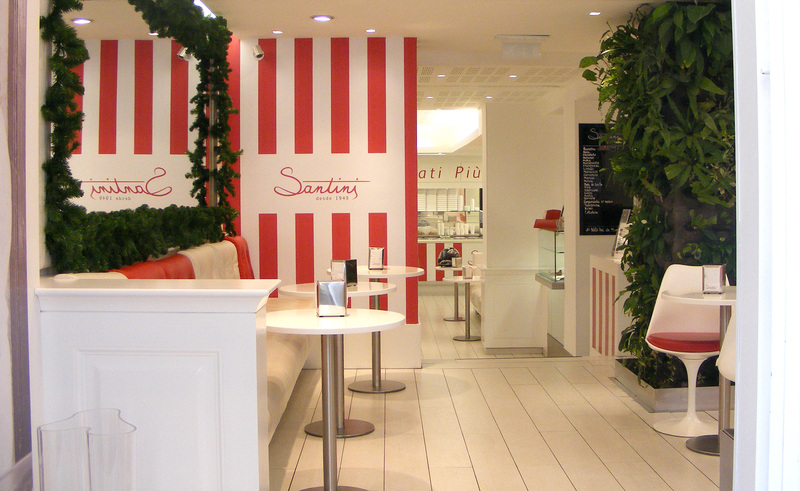 Santini’s approach was simple: make the gelato fresh every day using only the very best cream and fruit. Word of mouth quickly made Santini famous in the 1950s. It helped that many of Europe’s dethroned kings and queens lived in Estoril and became loyal customers. One of these customers, Juanito, is now better known as King Juan Carlos of Spain. There was a feeling of elegance, of relaxed optimism about the 1950s that you can see in the lines of the Fiat cinquecento or hear in Miles Davis’ recording of ‘Round Midnight. It is this sweet feeling that you can still taste today in a Santini gelato. Santini has currently three locations, one in Lisbon, near Chiado (Rua do Carmo, 9) and two others in beach resorts near Lisbon (S. João do Estoril, Rua Nova da Estação, 5, and Cascais, Av. Valbom, 28F). There can be long lines in the Summer. The wait is an opportunity to consider which of the more than 50 varieties we are going to try. We don’t want to rush into this decision! Click here for Santini’s website. In love with this blog! Just discovered your blog, lovely pics and very informative. Will be putting some of these places on our agenda to visit. Than you so much for your comment. We hope you are enjoying Portugal.